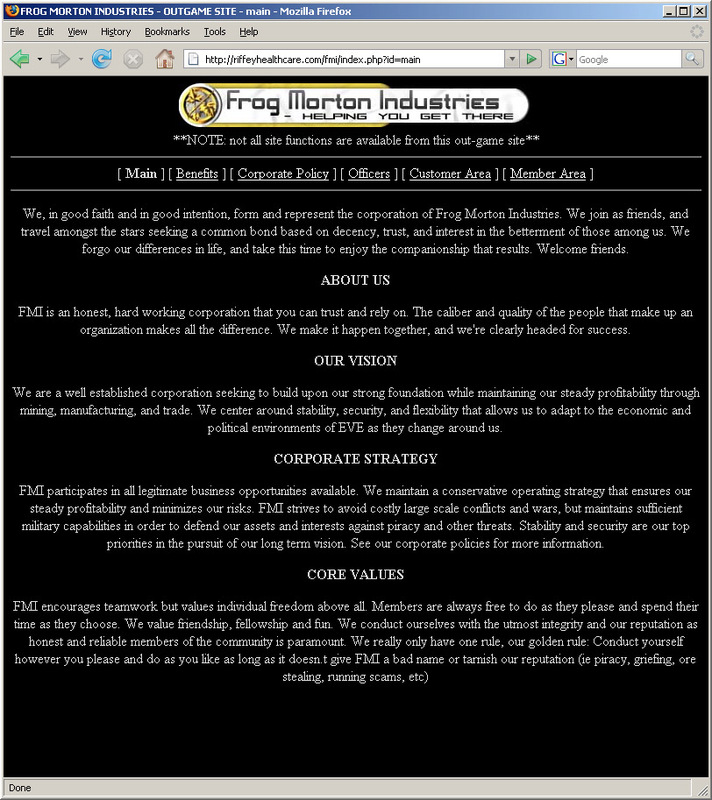 This is a website I created for the player corporation (guild) Frog Morton Industries I was leading in the Sci-fi, Massively Multiplayer Online Role-Playing Game EVE-Online. It was created to fill the corp's needs to organize and manage ourselves. A system was needed that could be regularly updated by members and leaders both via the web and from within EVE Online. The system needed to have full integration with EVE Online's in-game browser system to take advantage of such things as player affiliation, player location, and player in-game roles within the corp. All code work was done by hand using notepad. Single-page PHP design reduced overhead. Fully viewable and mostly usable both via the web and from within EVE-Online. Experience felt identical and worked within the confines of the HTML 1.0 standard of the in-game browser at the time. Some features were only usable in-game due to required game variable hooks. Fully integrated into the EVE-Online browser system which recognized in-game variables such as player affiliation, player location, and player corp permissions. Database-driven system of pages used by corp members to update things like activities and information guides. Permission system used in-game corp role permissions to allow those of higher rank to administer the system. 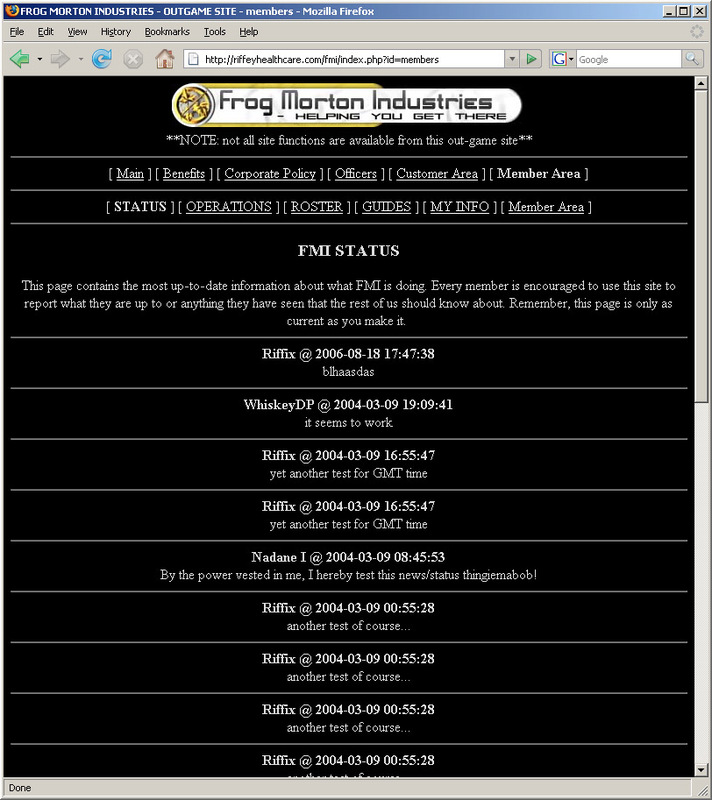 Shot of the main page, the formatting was limited by the EVE browser the site was designed for. Shot of the member's area and the status list which was invaluable for group organization.